Siliguri: Chief minister Mamata Banerjee will arrive here on a three-day visit next Monday to inaugurate the Uttarbanga Utsav, the annual cultural fest of north Bengal, and attend the fifth round of bipartite talks with hill parties. Significantly, Mamata will not ascend to the hills this time. "The chief minister will arrive here on January 8 and will inaugurate the Uttarbanga Utsav in afternoon at Kanchenjungha Stadium. The next day, she will take a chopper to Alipurduar to attend some administrative programmes. She will return on the same day and will attend the fifth round of bipartite talks with hill parties," said a senior state government official here on Tuesday. On January 10, Mamata will return to Calcutta, the official said. In Alipurduar, administrative sources said, the chief minister is scheduled to attend an administrative meeting to be held at the ground of Subhasini Tea Estate, located under Kalchini block. Last month, Mamata was supposed to visit north Bengal and go to the hills to attend the tourism festival that was organised by the GTA. She was also supposed to attend an industry meet that was planned after several years in the hills to bring in private investments to the hills. However, the visit was cancelled because of engagements in Calcutta and other parts of the state, administrative sources had said. Her proposed visit to the hills last month had kindled fresh hopes among stakeholders of tourism industry who had asserted that it would sent positive messages across the country and even abroad and would encourage tourists to start visiting the hills again. "It is significant that even this time, the chief minister will not go to the hills. Even though situation has returned to normal, it seems she does not want to take any chance," said an observer. Instead, the chief minister, through her decision to attend the bipartite meeting at Uttarkanya, intends to pass a message to the hill population that the state is sincere in resolving problems and wants to expedite development across the hills, said an observer. 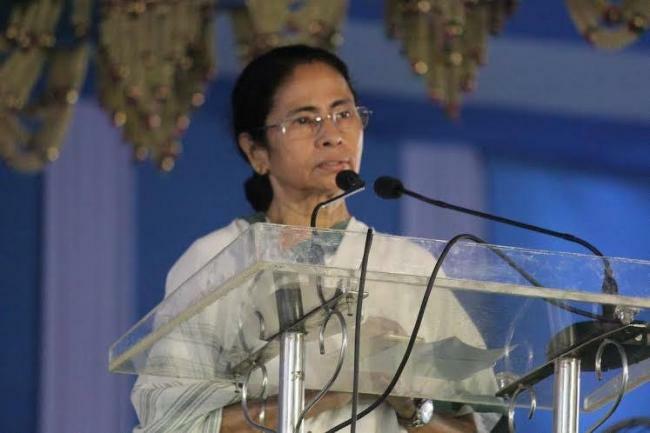 Chief minister Mamata Banerjee will arrive here on a three-day visit next Monday to inaugurate the Uttarbanga Utsav, the annual cultural fest of north Bengal, and attend the fifth round of bipartite talks with hill parties.